Watch Fedde Le Grand live at UMF 2014! Over a week on from Fedde's breathtaking set to close UMF 2014, the time has now come to not only announce the winner of the ultimate prize - but also - the 6 brand new tracks that he treated his adoring fans to within the stunning one hour set! Familiar to all though was the now World heard "Don't Give Up", which has been skyrocketing in the Beatport charts as of its release on March 24th. Be sure to grab your copy if you haven't done so just yet! The release dates to the other tracks remain a close kept secret for now, but be sure to tune in to all upcoming titles to Fedde's UMF set above, and you'll know….. This year is going to be Grand! The winner to Fedde's Nike Dutch away shirt is: Alexandru Vicol. 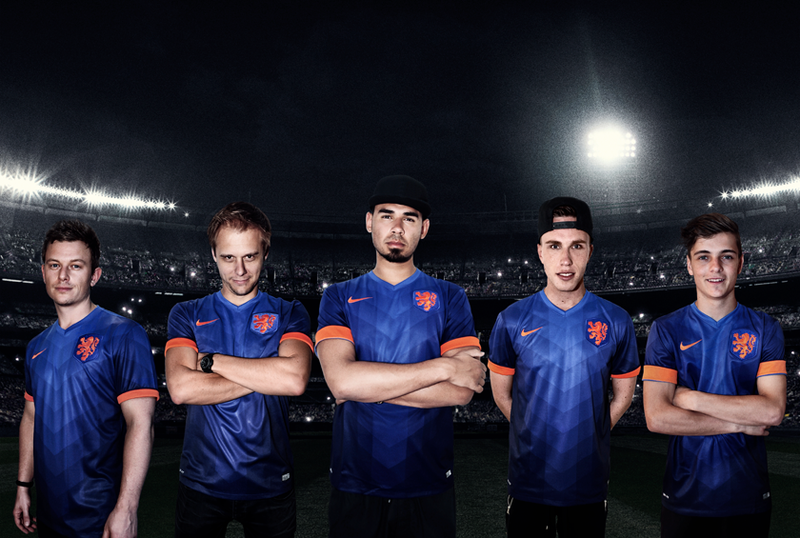 Be sure to support the Dutch team this summer!